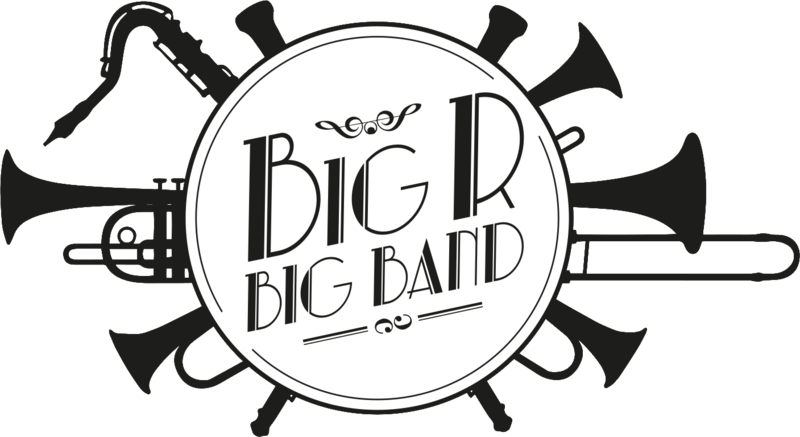 Led by Bristol's best dressed drummer, the 16 piece Big R Big Band are firm favourites with the Bristol swing dance crowd. 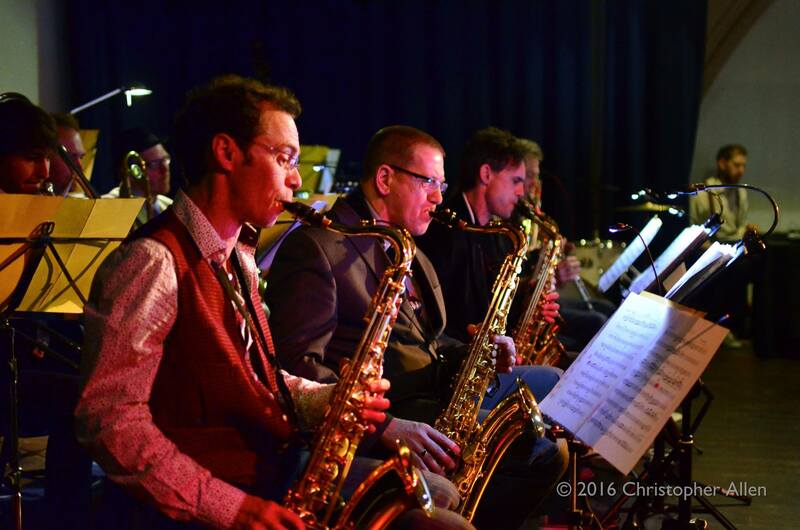 Frequent performers at the Slapstick and Harbourside festivals, as well as the regular Bristol swing events that happen in the city, Big R can also be found swinging across the rest of the West Country. Dashing, debonair, dandy and dapper, the classic swing tunes of the 30's and 40's are looking, and sounding, pretty damn good. We are always on the lookout for opportunities to play to interested audiences; Please contact us if you have something in mind.